With Peter at home during the week he’s been attacking the garden. 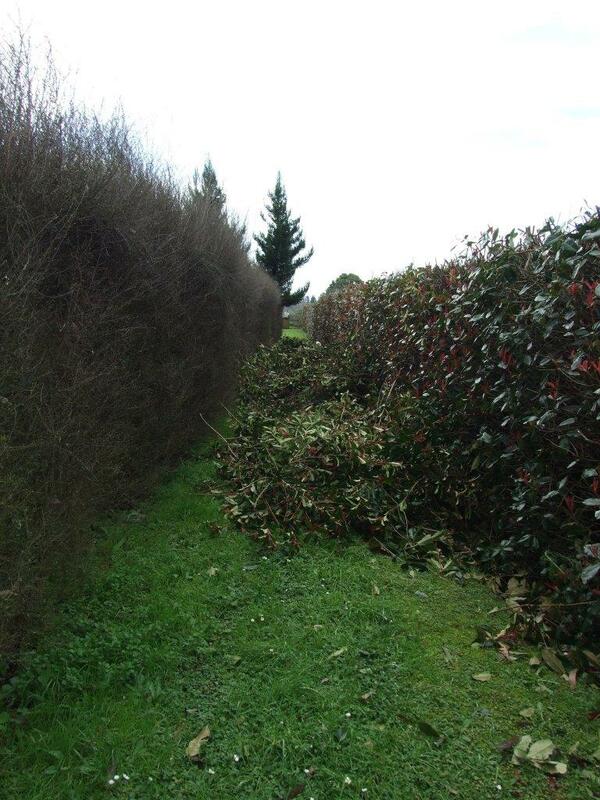 Pruning hedges (we have a lot of hedges) ……..
….digging up trees to turn into bonsai……. …. 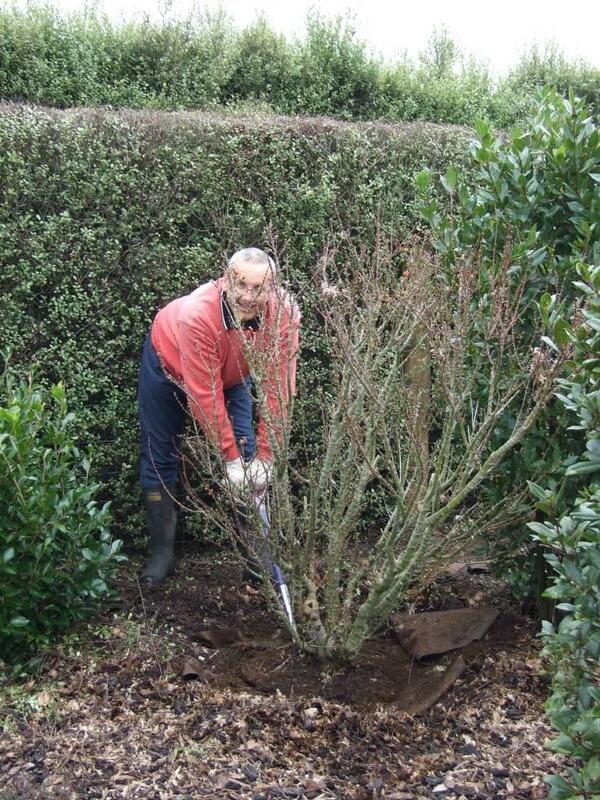 repotting bonsai and any other jobs Ann can think of. When it’s been too wet to work outside he’s been working on the family trees and websites for the 2019 bonsai convention we are hosting next year. Spring is just around the corner – September 1st to be exact. 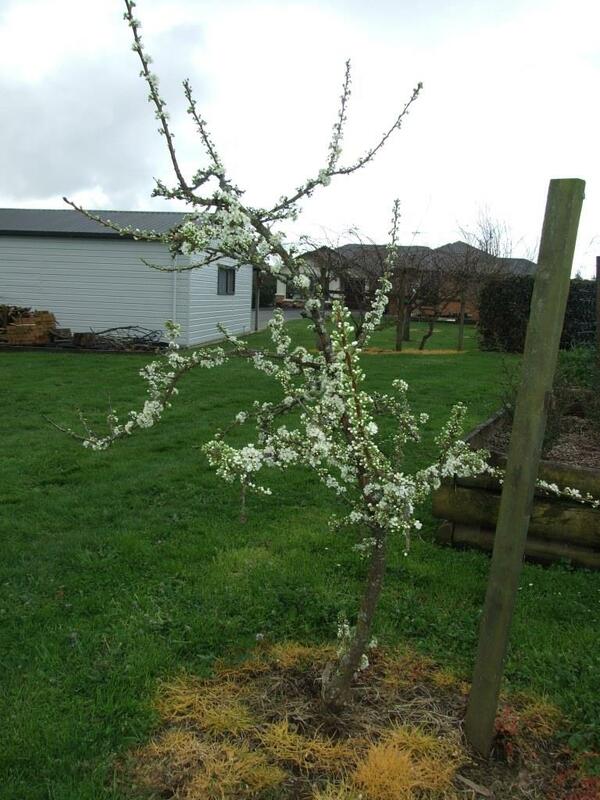 We know this because one of our plum trees is full of flower (Ann will be able to make lots of jam this summer), and the Tui (pronounced too – ee) is visiting our fruit trees. 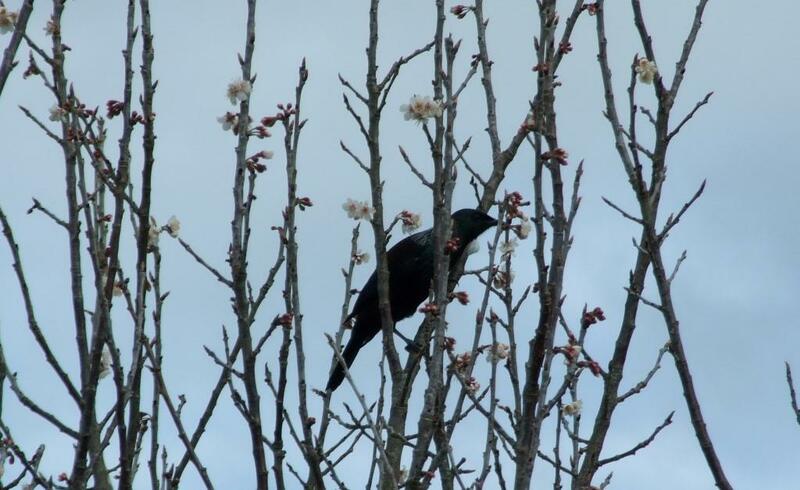 Tui’s are one of New Zealand’s favourite birds. They have a distinct call and help to pollinate the flowers. Job hunting is slow and Peter’s applied for over 20 jobs – all with no luck so far. Most have let him know he’s not been successful but there are still a number where the applications just disappear into a black hole. 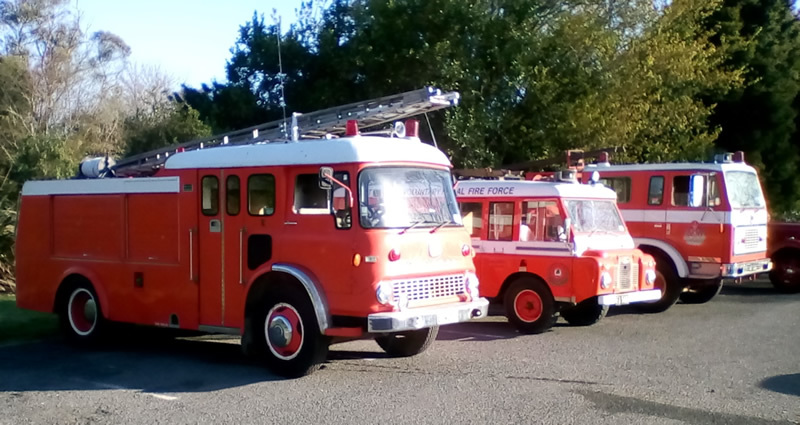 The village Rural Fire Force celebrated 25 years with a display including some historic fire appliances from around the region. Another little project Peter has been working on when it’s too wet for gardening is scanning some 35mm slides for one of our bonsai friends. 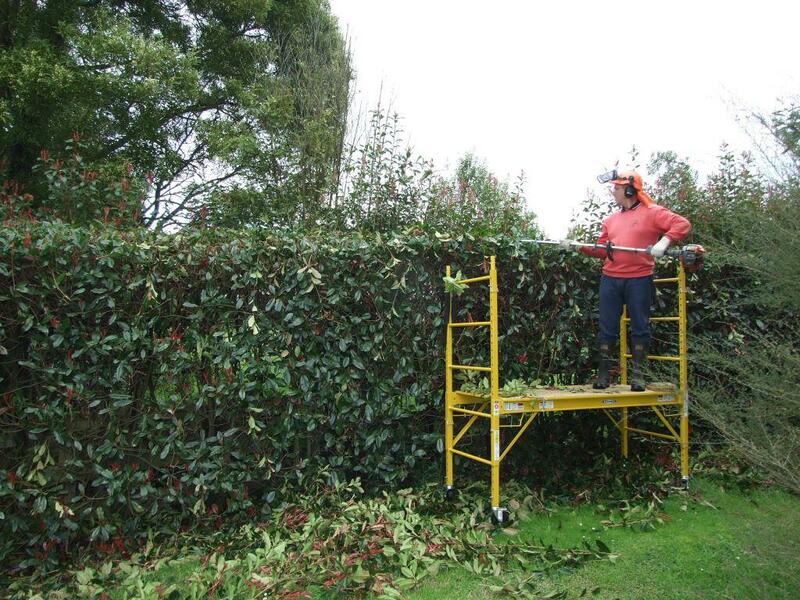 He started on a little box of around 750 – that kept him going for a while. The girls have loved having Peter home every day. 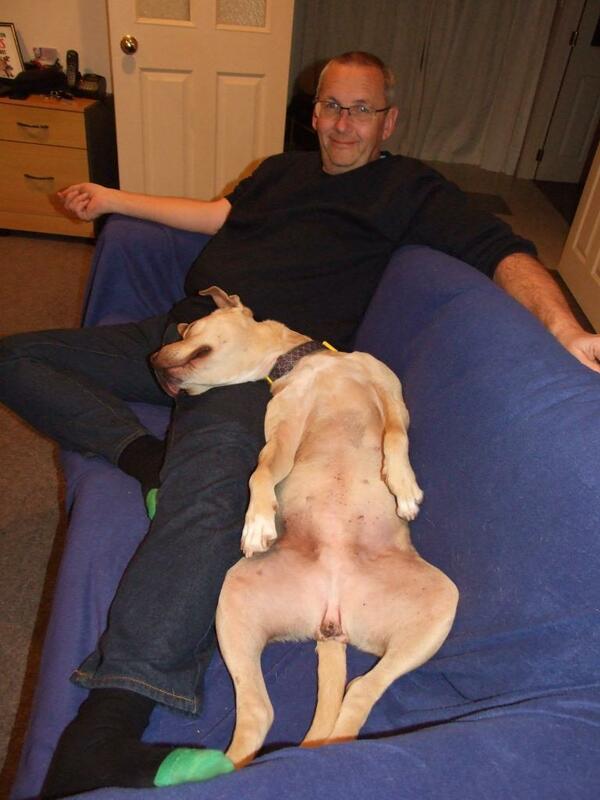 Honey loves to chill out on her sofa (which Peter’s allowed to use occasionally)! 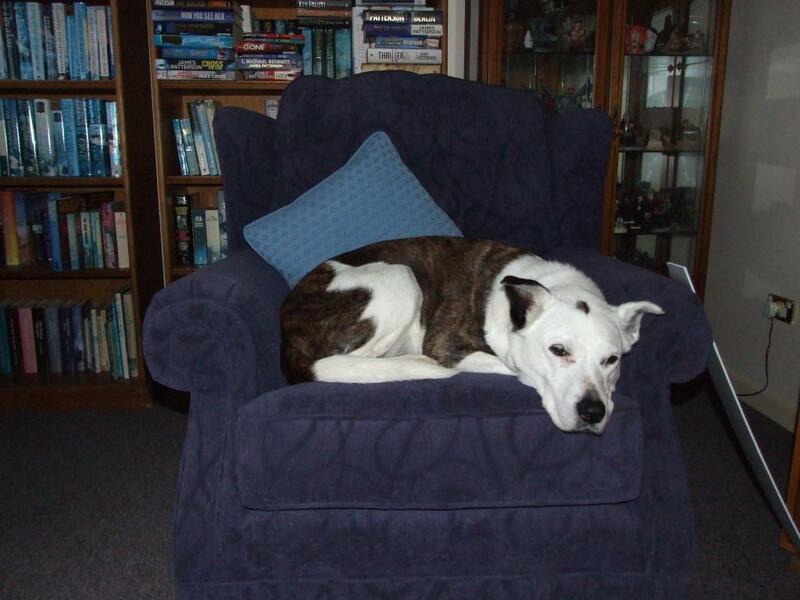 Maxie has discovered the delights of napping on the settee or chair in the library. She may be getting old but she still has enough energy to climb! We’ve found paw prints in one of the raised veggie beds too. 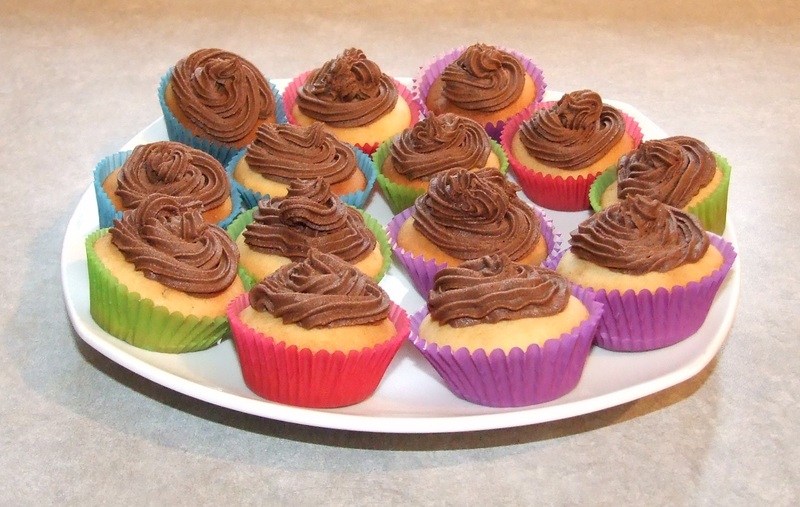 Ann made her first ever cup cakes to raise some money for the SPCA. Peter’s comment was “not bad”. High praise indeed! We celebrated our 27th Wedding Anniversary on the last day of August. Meet Olie – the newest member of the Lop Eared Rabbit clan. 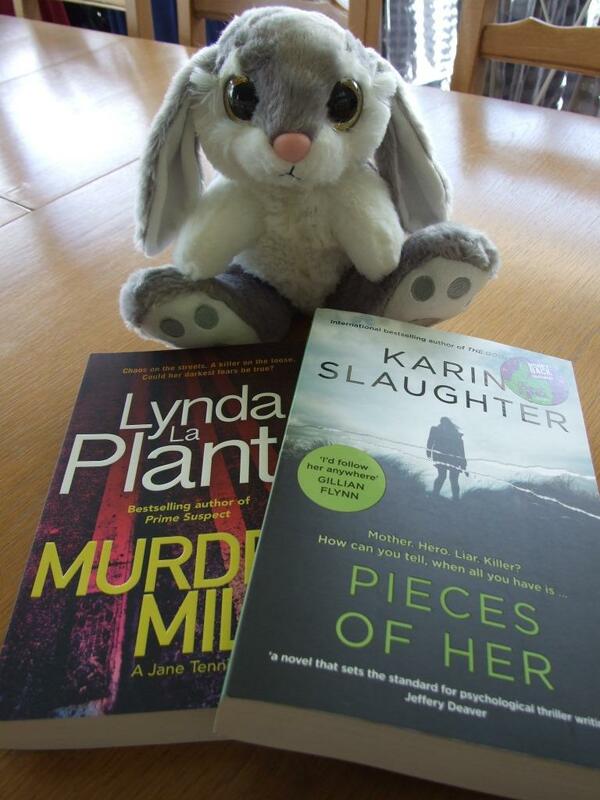 He came with two more books for Ann’s collection. 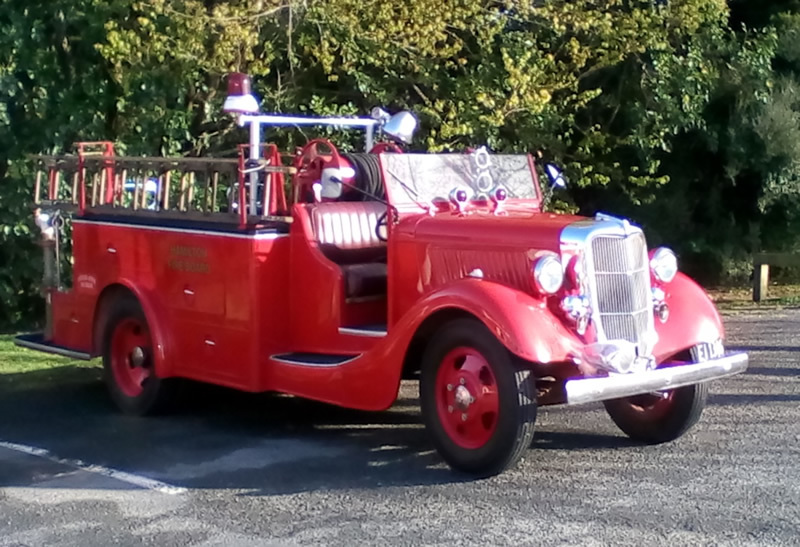 In the evening we dined at a lovely restaurant in Te Awamutu called Fahrenheit.